NEW TREES PLANTED ON CAMPUS! We are excited to have received a donation of 79 new trees for planting on our campus! 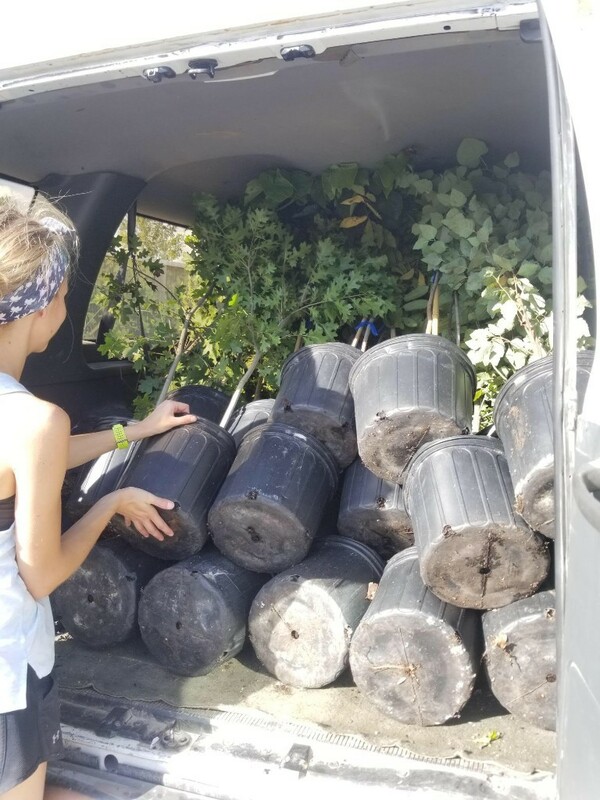 The trees were obtained through Forest ReLeaf, the only non-profit community assisted tree nursery in the region, whose goal is to restore and sustain forests in and near Midwestern urban areas. A big thanks goes to Boy Scout Troop 1895 who planted 20 of the trees, black walnuts, as a service project! You may notice the new trees located in various spots around the Center on your next visit. We look forward to seeing them achieve full growth in the future, adding to the beauty and sustainability of the land. The 60th Anniversary Disc Golf Tournament in November was a lot of fun! Giving the gift of camp to a child, a grandchild or other beloved youth is an awesome way to celebrate Christmas! It is well known that an experience at a Christian youth camp is a powerful predictor of a deeper faith in adulthood, as well as active participation in the life of the church. What a wonderful opportunity, and potential legacy for that young person in your life. Information and enrollment can be found at our Website. Do you like to be active outdoors? Do you happen to be a master gardener or landscape architect? Or would you just like to learn more about plants and their care? We are forming a volunteer group to help maintain and enhance the landscaping and gardens here at Heartland.. If you would like to be a part of the team, please contact the Heartland Center office. A kickoff meeting is planned for February 2019. "Staff was extremely helpful and gracious--makes being here easy." "Nice to see heat pumps and water-saving devices and solar panels! Go Heartland!" "Everything was perfect; we definitely would like to come back." "We love the food. The ladies were so happy; the food was great, on time; we love it!" During this holiday season, we’re SO thankful for how God is working in our ministry. We have some BIG news coming your way soon, and we can’t wait to reveal the changes that will affect each and every camp family.